Server looks where to go before going? Server asks user where to go? Server asks user where to go and what to do? How should this documentation be added, and where should it go? And here is the challenge for our industry, we still don't have good solutions/answers all these questions, which shows how much we still have to go (in the Application Security space), and how much the current development (and security analysis) workflow still needs to improve. What I think is very interesting about this scenario is that there isn't a clean solution (like in SQL Injection, CSRF or XSS). 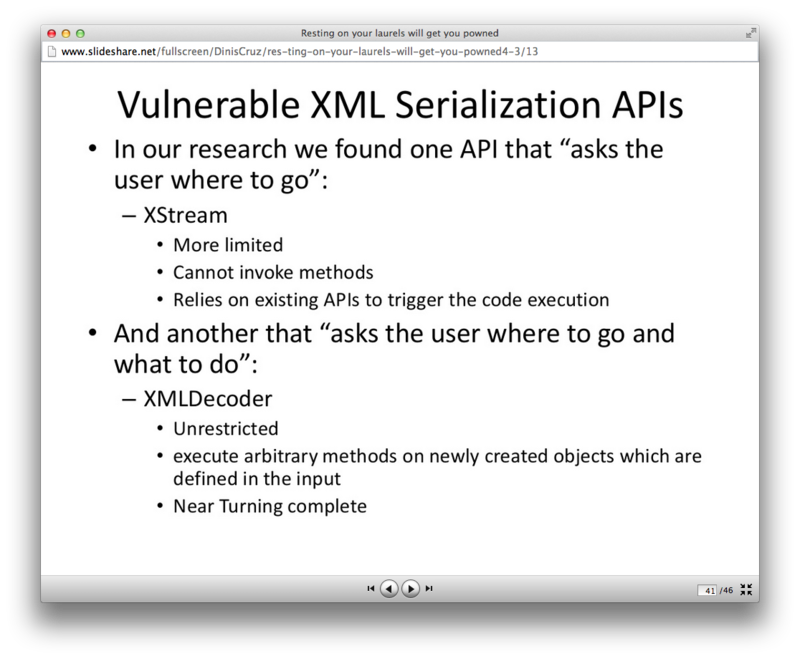 Basically, these XML deserialisation APIs are doing what they were designed to do, and they perform a valid business activity (which is why they are used in real-world apps). 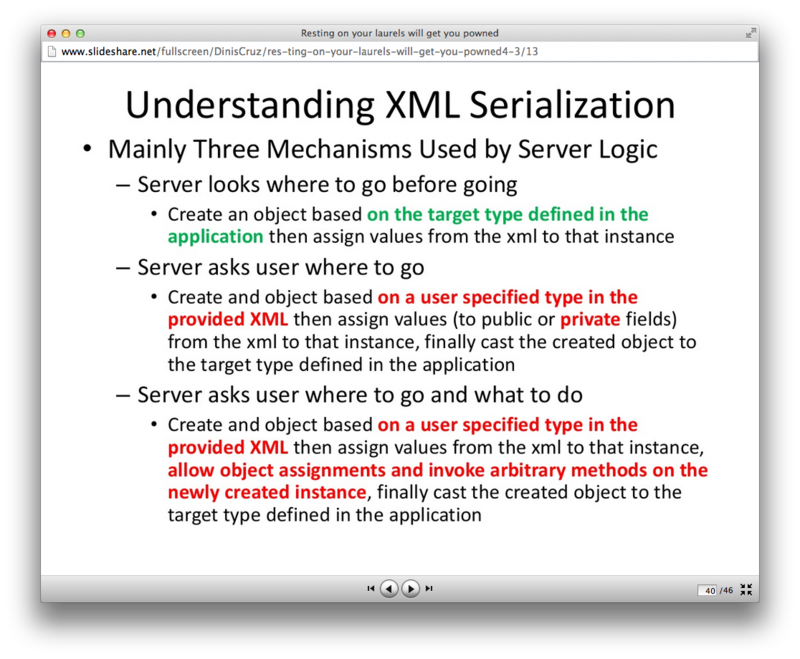 This means that the problem is not really in the API, but how it is used. Which leads us to the problem of 'if developers are not aware of that is happening under the hood and the security implications of what they are coding, it will be just about impossible for them to create secure applications'. I like to think of these APIs as radioactive, where they have a lot of power, but need to be handled very carefully, or they could have a LOT of side effects (and security implications).